The Committee is made up of about twelve individuals who are committed to ensuring the smooth running of the club and to provide members with every opportunity possible. We aim to encourage, motivate and support every single individual to reach their full potential. A committee meeting is held on the first Wednesday of each month where members will discuss the Club’s finances, the current memberships, any forthcoming events which we need to organise or any issues affecting the club where the committee needs to discuss and take action. Minutes are produced and circulated. I am very proud to be Chairman of Witney Roadrunners. I am in my 30th year with the club and held the post of Chairman on 2 previous occasions. I still get a buzz from racing and competing but also really enjoy the social side as well. I am at the Club most Thursdays and am always up for a chat about all things running. John encourages and encapsulates all that is great about Witney Roadrunners. I have been a member of Witney Roadrunners for over 30 years. I have been on the Committee before and filled all roles including Chairman, Treasurer and Secretary over several years. I became Secretary of the club again in March 2013 after a short break. I am responsible for the Club kit, I am on the Social Sub-Committee and the Witney 10 Sub-Committee, where I am responsible for recruiting the marshals. I organise a group of 30+ marshals for the London Marathon each April, where we marshal at the Tower, a fantastic experience that we have carried out for over 20 years. Over the years I have competed in over 18 marathons, my favourite being the Snowdon Marathon, which is held at the end of October each year. I am also Secretary of the Oxfordshire Athletics Association; I have been in post for over 15 years. 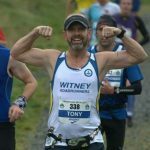 I’ve been on the committee for the Bronsens Cotswold Classic for about 5 years and took on the job of Race Director for the 2016 race (nobody else wanted to do it!). Over the previous three years under Jim Whelans stewardship, the race improved dramatically from 150ish entries pre-Jim to around 350 in 2015 which was no small feat, and established a fantastic base on which to build. For the 2016 race, we introduced a new venue, a new route and chip-timing for the first time and were delighted to see our highest number for many a year as we hit over 380 – helped possibly by the offer of free beer at the finish from Wychwood Brewery. The Cotswold Classic is hugely important to the club and it’s image within the county – it really is our flagship event and we’ve built a reputation for having the best and most enthusiastic marshalls around so please get involved. Any ideas for the race, just come and speak to myself or any of the CC committee (Steve and Lyn Hopkins, Regina Lally, Nick Morley, Tony and Darlene Burkett). I am responsible for updating the website with results, routes and other information. If there is anything you’d like to see on or added to the website please let me know. 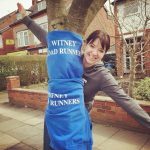 I joined Witney Roadrunners way back in May 1986 as I was training for my first 10K which was the sports aid run the world event in Hyde Park. 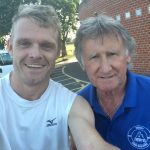 Since then I have run many races around Oxfordshire and further afield, making lots of good friends and meeting lots of great runners in the process. Lucy has always been a keen runner and running with WRR means she can socialise and do her hobby at the same time. 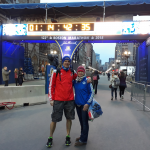 She particularly appreciates the Tuesday evening effort sessions which are hard, but much harder without the comradeship of fellow runners. Lucy says she is delighted to have the honour of being Ladies’ Captain and their race organiser. 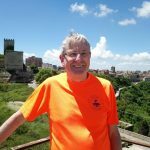 I joined the Club in 1988, and completed my first marathon, The Snowdon, in October of that year. I went on to compete over every distance for the Club, although a lot of those races are now in the very dim and distant past! I have been Club Chairman on two occasions, Club secretary, and a member of the Club Committee, for most of my years with the Club. I inaugurated the modern Cotswold Classic 10 Mile Road Race, in 1996, and was its Race Director for many years. I still contribute as part of the CC Sub-Committee. I have managed the teams for the annual Ridgeway Relay for 4 years now, and I manage to get myself involved in most aspects of Club Social Life. I have been running for about 40 years. I still enjoy it very much but am a lot slower than I was. I have been a member of the club since I retired in 2014 and joined the committee in 2015. My responsibility is to get the club results into the local paper and liaising with the press to publish club activities. I have made many friends at the club since joining and I enjoy their social events. I find participating in the club’s league really encourages my running and performance. Most Thursday evenings you will find me at the club ready to run. Regina has run since her school days, escaping Girls’ Rugby to head off for a solo run instead. Joined WRR in 2012 in a bid to improve times and get to know more people in Witney. It’s a fantastic club to tick both those goals off with, and I’ve met some fabulous people who are great friends (even if they persuade me to do crazy things like Snowdon Marathon!). It didn’t take me too long after joining to get involved, so I look after the Social Media side for the club (e.g. WRR Facebook Public Page, and WRR Members’ private group) and help with the marketing side for the Cotswold Classic race as well. In addition, make sure we protect members’ personal data and use it appropriately. 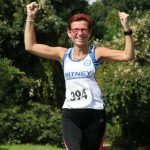 I have been a member of Witney roadrunners for 5 years and on the committee 3 years. My main role is to produce the weekly routes and organise the ‘short run’. I also organise the club Handicap race and help out wherever needed, including introducing new members. I enjoy the training, but also the social aspect of Witney Roadrunners. If you have any issues regarding your membership of the club, and that includes any personal issues of any kind, please talk to me in the first instance. I will do my utmost to help you resolve the issue confidentially, quickly and amicably, and if I can’t, I will take advice on how to proceed. I have been a member of WRR for the last 10 years and on the committee for the last 5 years..
My roll on the committee is the membership secretary,..club welfare officer..and a member of the social committee. You will find me at club most Tues and Thurs so if you are new to the club please make yourself known to me if i have not already found you..
A spur of the moment decision to sign up for the 2015 London marathon led me to join WRR. I knew I would need as much help as I could get and the Tuesday evening effort sessions seemed the ideal training. A few years on and I haven’t looked back. I love running with similarly minded souls who head out in all weather, the sharing of stories that confirm our lack of sanity makes most of the training positively enjoyable! I joined the committee in 2017 and have the role of organising the Eynsham challenges and the trophies for the club awards.